It was HOT so we ended up (FINALLY!) seeing Harry Potter in the afternoon. IT WAS SO GOOD!! If you’re a HP fan, you definitely need to see it! Adore your outfit! esp. that pink shirt and your cool hat!!! I love your matching nails & sandals. 😉 I visited Chicago for the first time this May & I’m so infatuated with your gorgeous city…don’t even get me started on the shopping. Can’t wait to make another trip back. Just found your blog & we’re now following. We’d love for you to visit ours sometime & please drop us a comment if you do! I’ve only been here a short time, but I love it so far! You’ll have to let me know when you visit again! Love the whole look. Especially the accessories! I have put off buying those shoes for so long…But I may need to just bite the bullet. LOVE! They definitely spice up a casual outfit! Don’t know how I missed this post, but such a cute look and I love the fedora! That market looks like SOO much fun. Love that kind of stuff! You’re adorable! 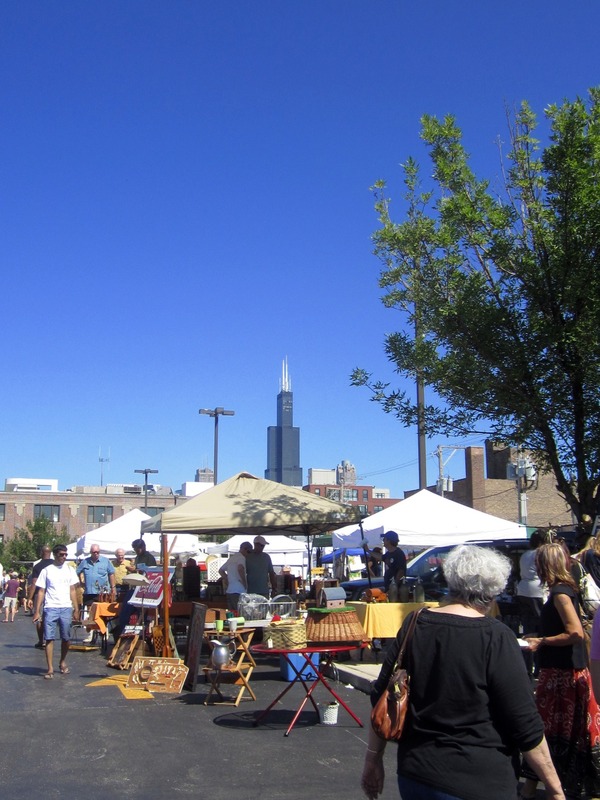 On behalf of everyone at the Randolph Street Market, we thank you for this post and for coming! Hope to see you at August’s market! I had a blast! Can’t wait to come again!